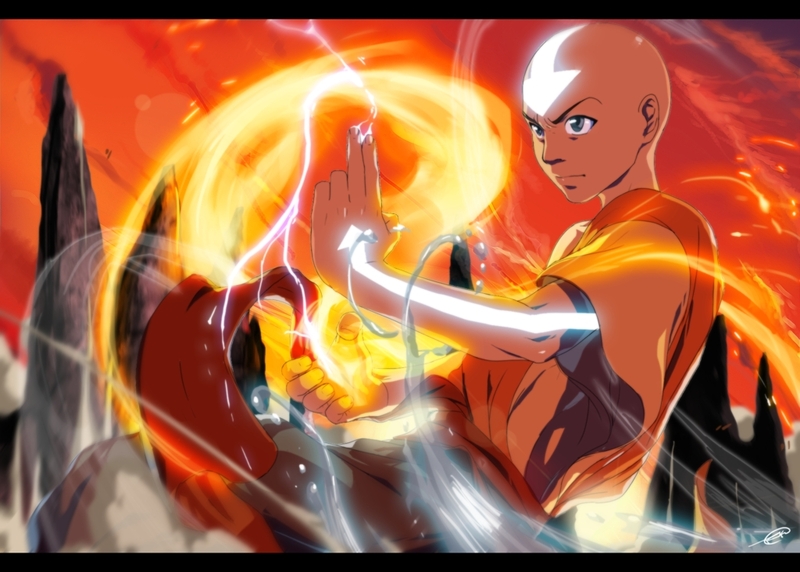 37 anime images in gallery. 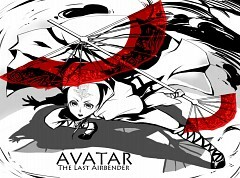 Tagged under Avatar: The Last Airbender and Avatar: The Legend of Korra. 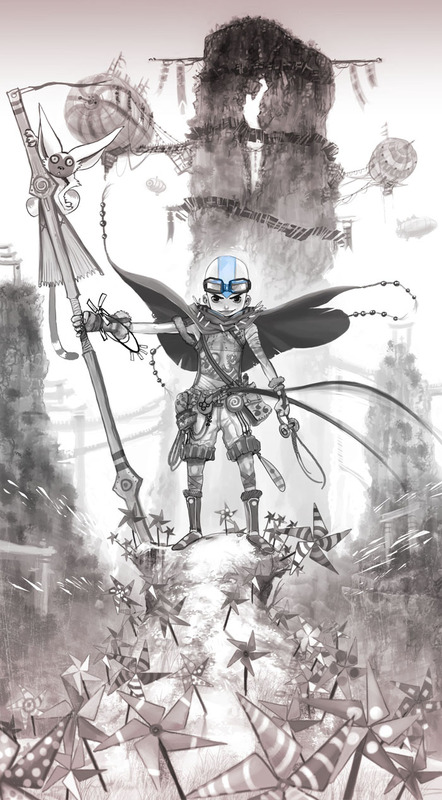 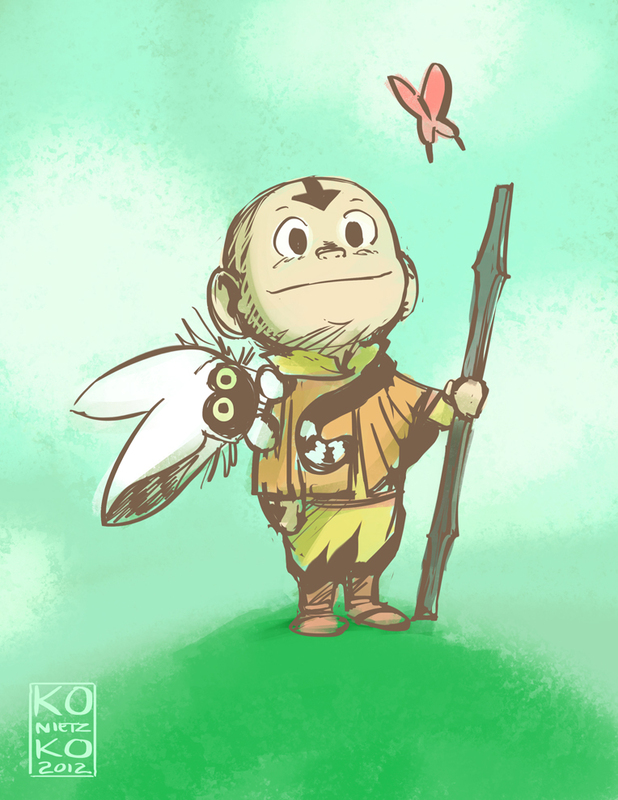 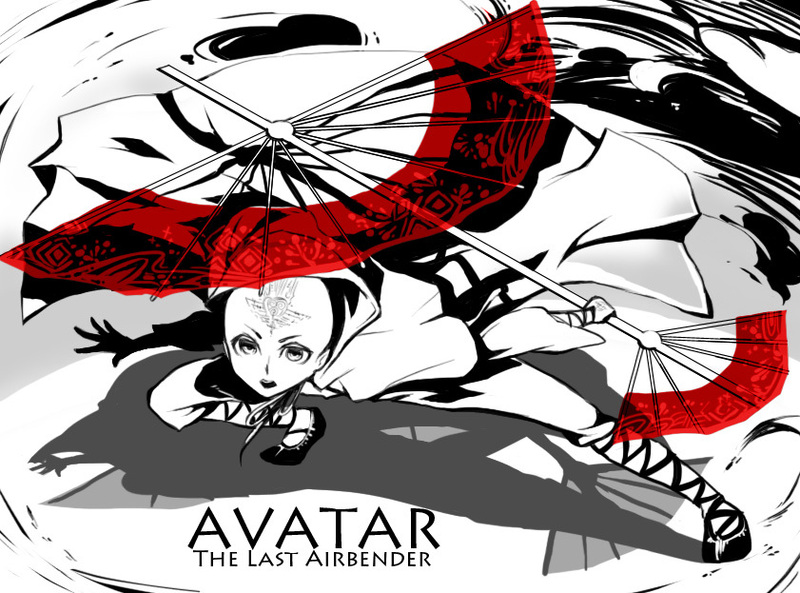 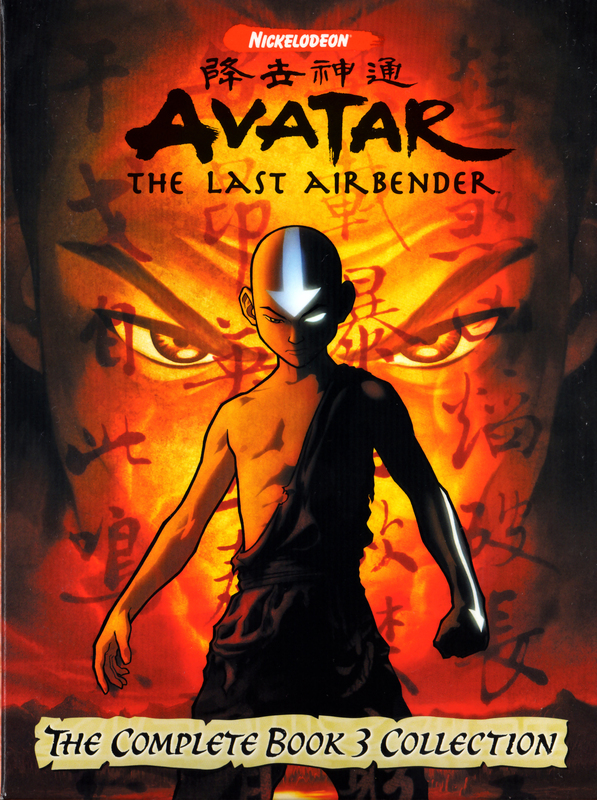 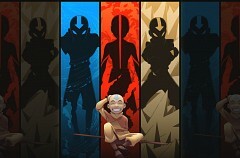 Avatar Aang was a male Air Nomad and the Avatar during the century-long conflict known as the Hundred Year War. 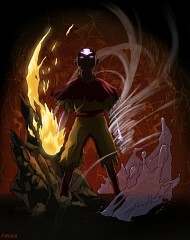 His immediate predecessor was Avatar Roku, and his immediate successor is Avatar Korra. 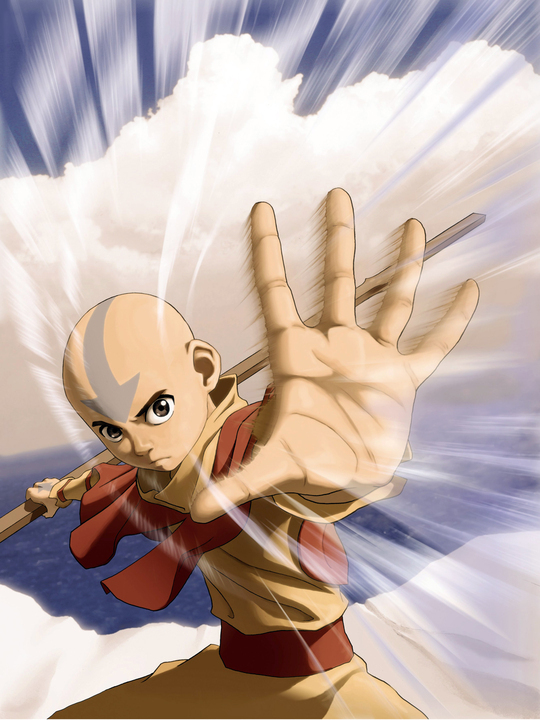 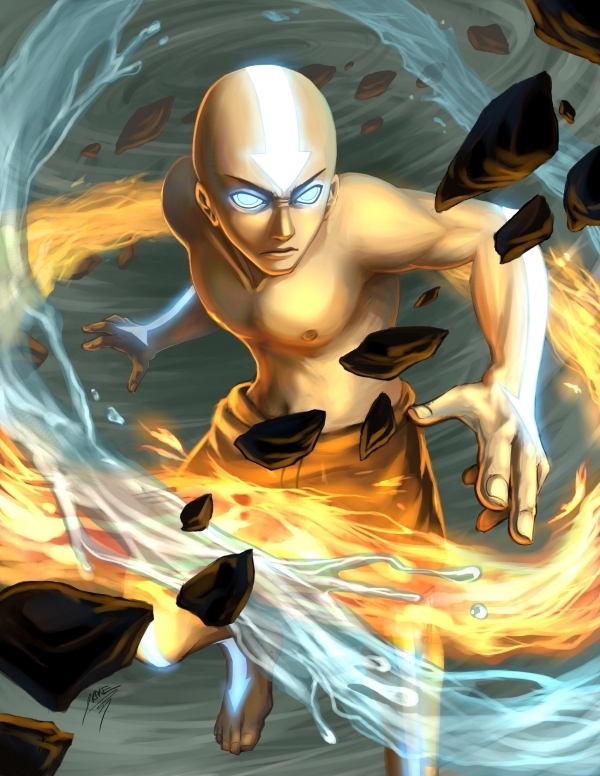 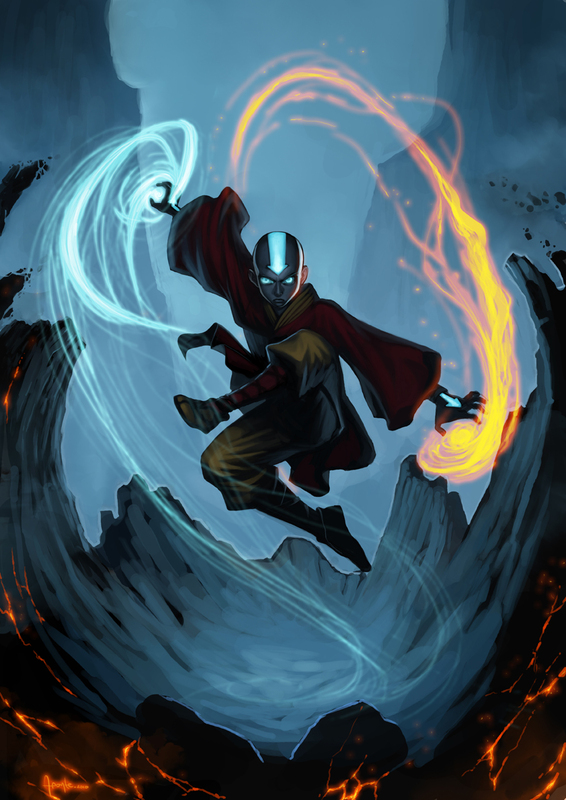 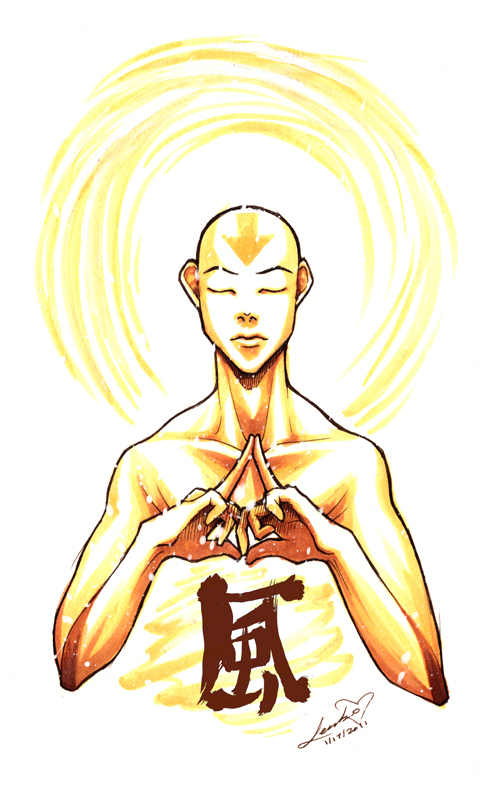 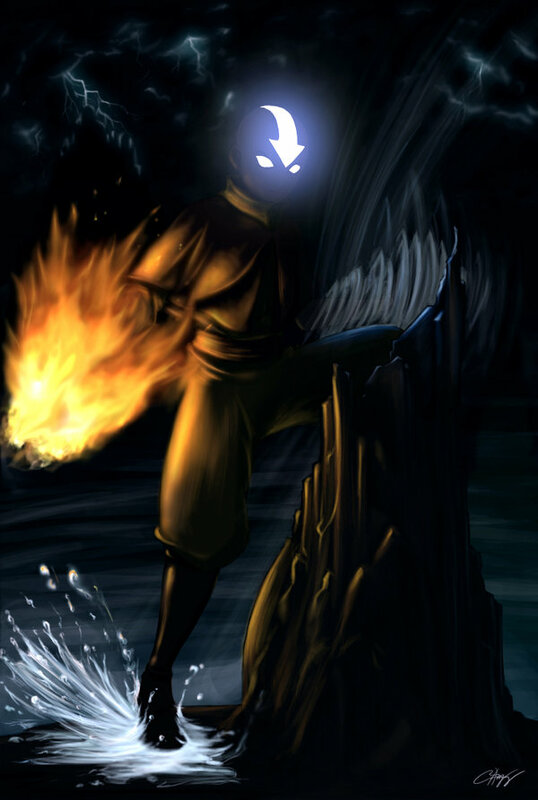 Aang was the only person in the Avatar World who could use all four bending disciplines: airbending, waterbending, earthbending, and firebending. 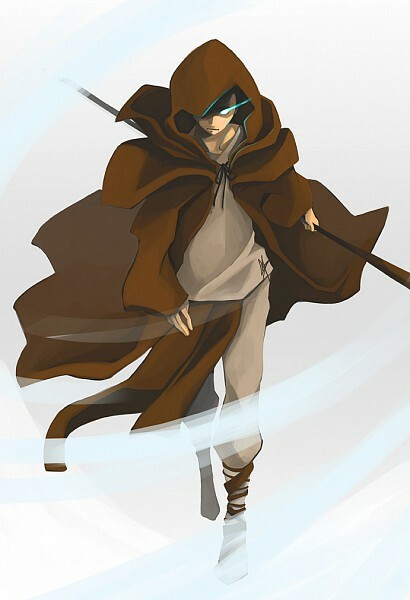 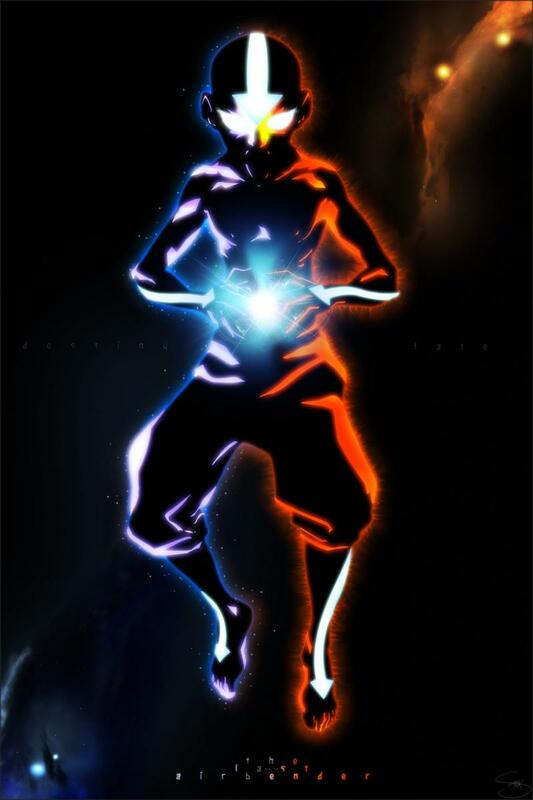 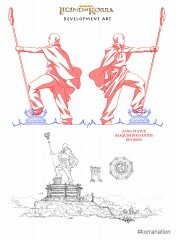 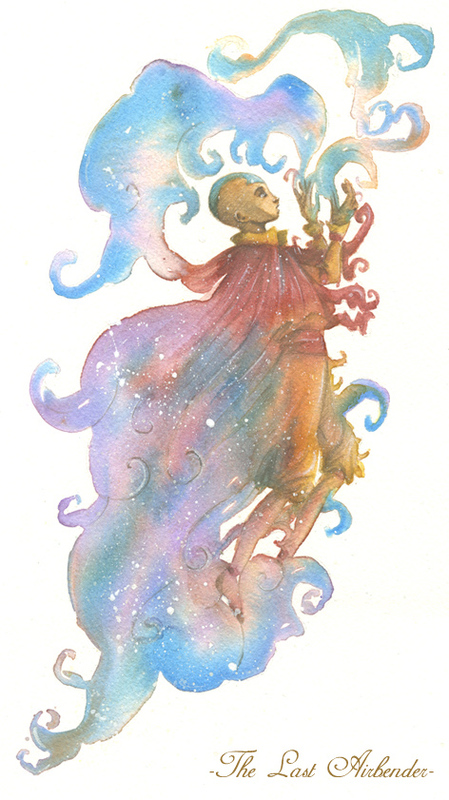 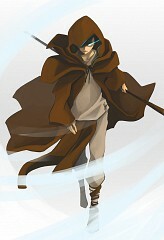 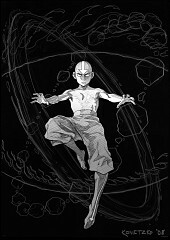 He was also one of a select few Avatars, and one of the first in many cycles to learn the ancient art of energybending. 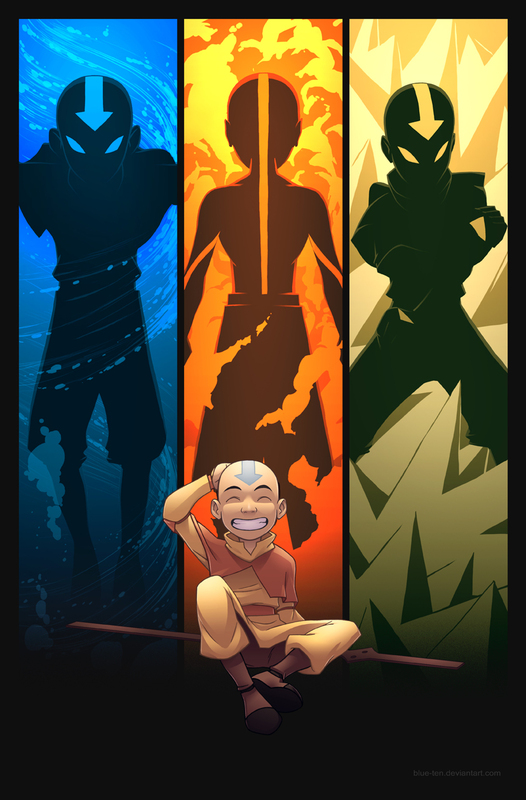 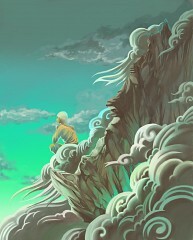 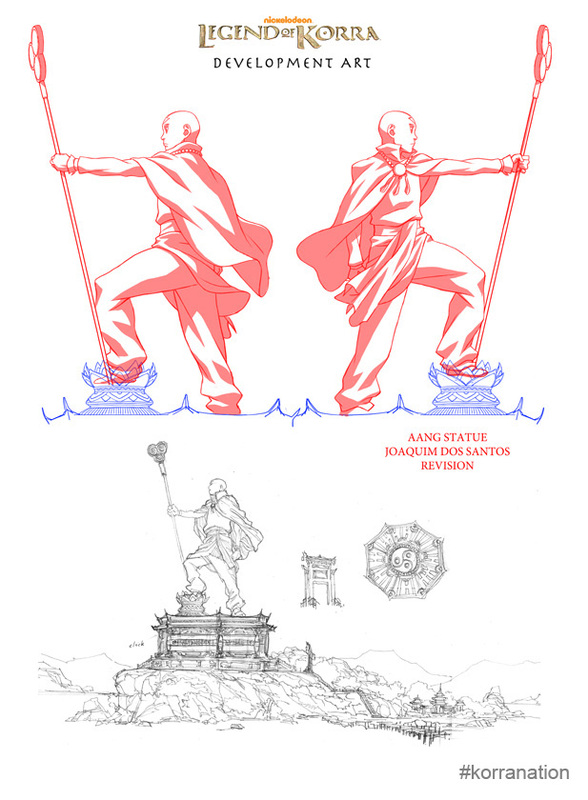 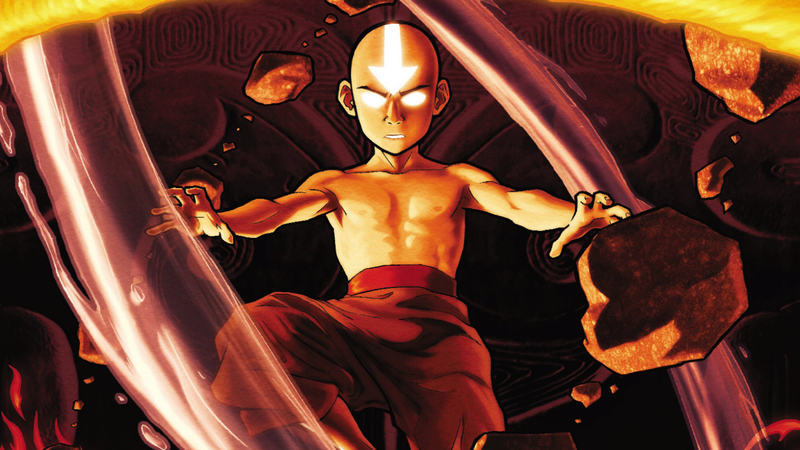 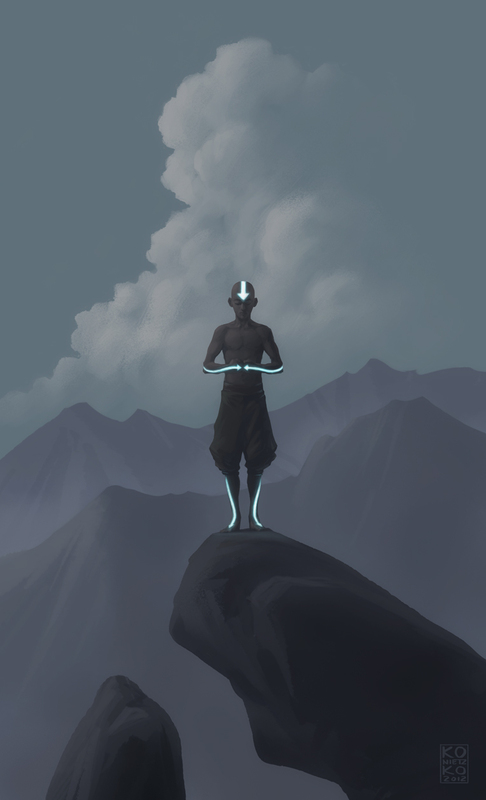 Aang was the first Avatar seen using the technique; the second was Avatar Korra, seventy years later. 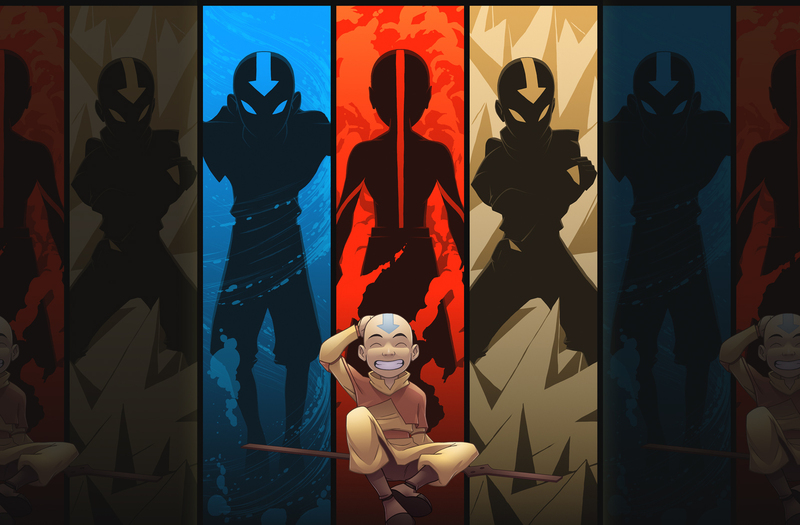 Shortly before the beginning of the Hundred Year War, Aang was frozen in an iceberg for a hundred years. 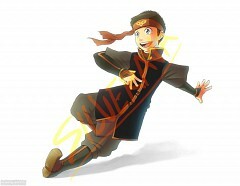 He emerged, still biologically twelve years old, into a world engulfed by war. 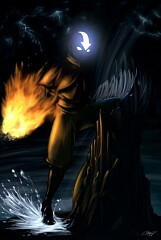 During his absence, the Fire Nation had waged war upon the other nations and managed to completely wipe out the pacifistic Air Nomads. It fell to Aang, the last airbender and the Avatar, to put a stop to the War by mastering the other three elements and defeating the Fire Lord, Ozai. 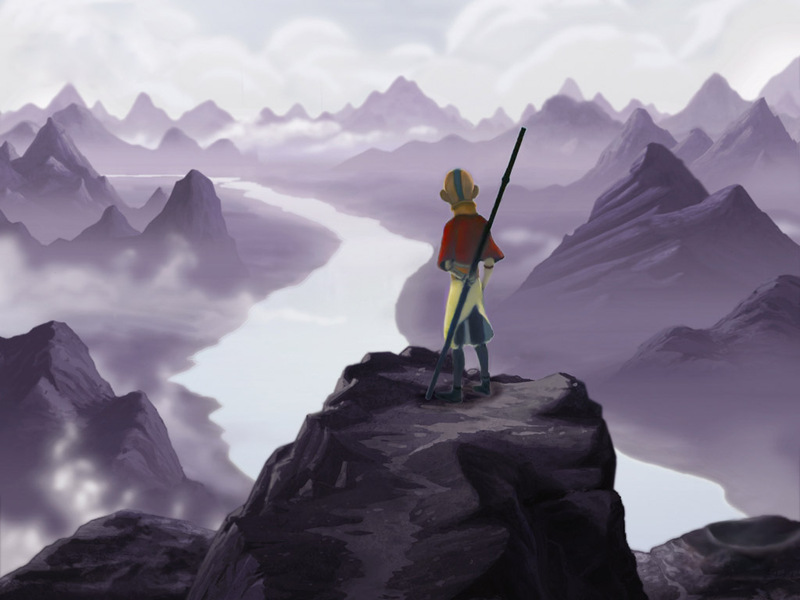 He remained something of a goofy, kind kid at heart throughout this year-long struggle, despite the overwhelming loss of his people and the heavy burdens he had been forced to bear. 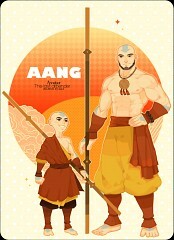 After his victory over the Phoenix King, Aang began a romantic relationship with his close friend, Katara. 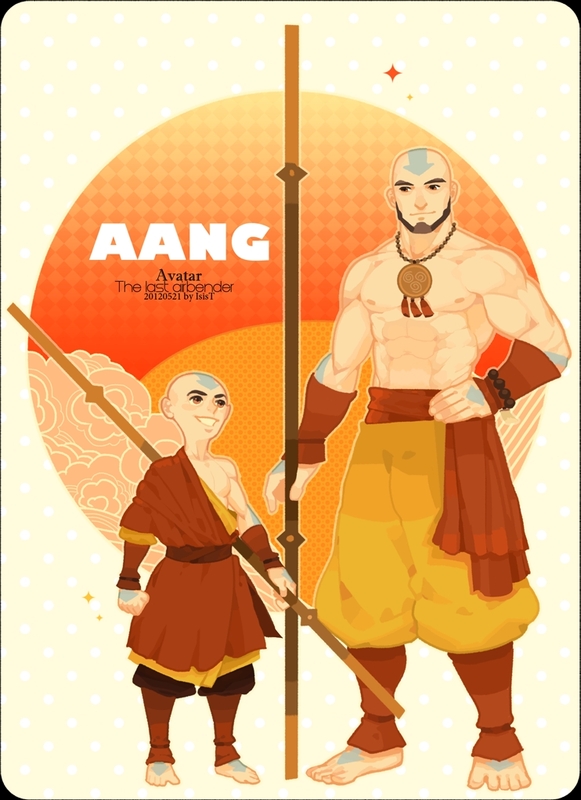 The couple eventually married and raised a family, which includes three children: Kya (a waterbender), Bumi (a non-bender), and the youngest, Tenzin (an airbender).